With the latest figures showing a very quiet housing market, eyes are turning to the Reserve Bank, which will next month be making a call on whether to further loosen mortgage lending restrictions or not. The RBNZ did loosen the loan-to-value (LVR) ratio limits a little at the start of this year. And while that has seemingly had some impact, particularly in terms of first home buyer interest and to some extent a slight revival of investor interest, the more recent monthly mortgage figures have suggested the impact of the loosening has washed through. Remember, the change made at the start of this year was that investors needed 35% deposits (down from 40% previously) while for owner-occupiers the banks were allowed to lend a little bit more on high LVR (above 80% of the value of the property) mortgages. The so-called 'speed limit' on the banks was relaxed from just 10% of their new lending being able to be advanced on high LVR mortgages to a slightly more comfortable 15%. Earlier this year RBNZ Governor Adrian Orr indicated that the central bank was in no hurry to relax the LVR rules and said it wouldn't be looking at the issue until the next Financial Stability Report (FSR) was released at the end of next month. Well, next month will be here quite soon and the questions are being asked. Kiwibank senior economist Jeremy Couchman says there "is some expectation" that the RBNZ will take a look at the current LVR limit settings in the FSR. "If they do loosen LVRs, we don’t see the RBNZ loosening by much, " he says. Evidence that house price and credit growth have fallen to around the rate of household income growth. 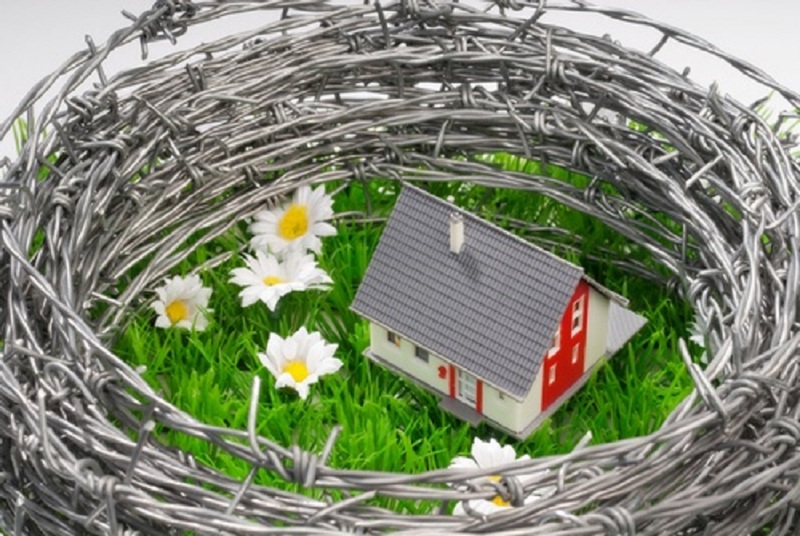 A low risk of housing market resurgence once LVR restrictions are eased. Confidence that an easing in policy will not undermine the resilience of the financial system. "One could argue all three have been met, but it’s certainly not definitive," he says. "Credit growth has slowed, but household income growth has yet to lift materially. The need to guard against excessive leverage building in parts of the system remains. But credit quality has improved materially since 2016. "We believe the 2nd and 3rd requirements are easier to argue, now that the housing market has cooled, with Auckland’s lead. The 1st is a matter of judgement." Couchman points out that the RBNZ is determined to push inflation sustainably back up to the 2% target midpoint. "As a bonus, loosening LVR’s would work with the Bank’s monetary policy objective. If the Bank does decide to loosen LVRs we would only expect a modest adjustment akin to the last in November 2017." Couchman says a move to 30% deposits for investors is possible, "and wouldn’t threaten the integrity of the system". Westpac Chief Economist Dominick Stephens says the Westpac economists have long had a negative long-run view on the housing market, mainly due to a battery of tax changes and the foreign buyer ban. "But two months ago [we] predicted that fixed mortgage rates would drop sharply and that the RBNZ would loosen its LVRs. [We] predicted that this would stimulate the housing market, leading to a short period of rising prices, perhaps around New Year, before the overall negative trend reasserted itself. "Fixed mortgage rates have indeed fallen sharply, so stage one of that forecast has come to pass. "It is early days yet, but we are now turning our eye to whether the drop in fixed mortgage rates is stimulating the housing market. On a nationwide basis there are no real signs of a reaction yet. There was an eclectic mix across the provinces, with some regions seeing rising prices and others seeing falling prices for September. But Auckland is the region that seems to react most acutely to mortgage rate changes, and in that region there was perhaps a straw in the wind suggesting a market improvement. Auckland’s House Price Index rose 0.5% in September, making this the first month in which prices have risen since February 2018." Next month's Financial Stability Report (which for the record is released on November 28) will be probably the most interesting test of RBNZ Governor Adrian Orr's mettle so far. He's shown himself more than willing to let the economy run a little hot if that will achieve some sustainable levels of inflation. That's something his predecessor Graeme Wheeler was not prepared to contemplate. Rightly or wrongly, I think the way Orr has steered the RBNZ so far has looked a little supportive of the Government's general mood and direction. People might argue there, but that's how it has looked to me. There's no doubt the Government would very much like Orr to loosen the LVR straitjacket a little more next month. A bit of movement in the housing market would certainly cheer up the nation a little and we seem to need a pick-me-up at the moment. But it would be a risk. The RBNZ looked to be fighting a losing battle against the housing market in 2016 and seemed, almost in desperation, to arrive at the blunderbuss that was the big deposit requirement for the investors. That really got the investors backing off (although it has to be stressed that at very much the same time the banks themselves started pulling back very noticeably and have, I think, been happy to hide behind the LVRs as a reason). So, any relaxation of the LVR rules next month would be popular, but it would be risky. I certainly think that Orr can afford to wait six months till the first FSR (in May) of 2019. If he doesn't wait, this will tend to reinforce certainly my view, that the bank, albeit subtly is being supportive of Government policy. Yes, debatable, but that's how it's looking. Very interesting decision lies ahead then. If I have to hazard a guess, I will now flip flop from my earlier thoughts and say there will be another relaxation of the rules next month. We'll see. He has kept the OCR low which has maintained low mortgage rates and so (along with historically high immigration) have propped the house market to some extent so far while assisting manufacturers and exporters with a favourable low $NZ. However, that would seem to have used one of his key tools; that essentially just leaves LVRs and there aren't too many tools after that so he will be cagey about using a reduction in LVRs too early. NZREI figures today raise issues as to the future of the market in the short term. Adrian Orr has a fine balancing act in the use of LVRs. Just to clarify, the RBNZ is responsible for financial stability of the banking system in NZ. In order to maintain financial stability the RBNZ can use macro-prudential tools such as LVR's. The RBNZ is also responsible for price stability (otherwise known as consumer price inflation) - the RBNZ has a 1-3% target rate for inflation. They added an additional monetary policy objective to support maximum sustainable employment in the economy. The fact this comment has 8 upvotes is a pretty sad indictment on the readers of this website. Except when a major recession is coming. Then it is best to give some oxygen. Not sure loosening LVRs would make a difference, its not like the banks have been bumping up against the limits of what they can lend as it is. But the borrowers aren't limited by LVRs.. the banks are. High-LVR loans can make up no more than 15% of a bank’s total new lending in this category..
Com'on Pragmatist, you're a smart guy. Of course the LVR's limit the borrowers capacity to borrow even if they are technically aimed at the banks. Yes you can, if you can convince the bank you are worth lending to. The banks are able to lend 15% of their new OO lending to to people with greater than 80% LVR.. they have been lending 11%. that means the can lend another 36% over what they have been to OOs with >80% LVR mortgages.. but they haven't been. And when you add in the exemptions for new builds & Welcome Home loans they probably haven't even been lending 2/3rd of what they are able to do within existing limits.. so why would moving the limits make any difference? Again, because if you want to buy a house for $1Mill and you have $200k, you typically cannot buy the house with the LVR's at 70/30. If the LVR's are reduced to 80/20 you can buy the house. The other rules you quote to try to muddle things apply whether LVR are 80/20 or 70/30. Okay, you just don't get it. I'll let someone else explain if they want to. This article is actually a chapter out of PBOC's book on monetary policy called "adding fuel to fire"
The practice of investors of borrowing against their equity in their other properties, particularly in a market with low elasticity of supply, creates a dangerous feedback loop between credit creation and house price rises. Responsible central banks such as the Monetary Authority of Singapore have learnt to keep LVR limits very tight on investors, less than 50%, and keep them there. Tongue in cheek – but the word “ponzi” springs to mind. If anyone needs any help working out how exposed Palmerston North is following the speculation in the market then please call the helpline 0800 WHAT A BLOODY PICKLE. Yeah mate but its Palmy and not Auckland so who cares ? Wow 175 listings, the worlds going to end if they don't all sell. I wouldnt be too worried if I was a Palmy vendor, Loan growth is positive, and is or soon will be growing. Also the RBNZ's actions to save Auckland will blow up prices in the rest of the country. But will the prices in the regions crash when the RBNZ loses its fight to reflate the Auckland bubble? fat pat. What about Waiheke Island? Should they be worried? There are 42 others but the details are so well hidden including them would disrupt the reality. Why do such a large portion of sellers want to leave within 3 or 4 years? Or has Waiheke been pumped and dumped! Might it be possible that the properties missing from your analysis because of lack of data, tend to have a lack of data because they haven't sold recently? I'm assuming availability of data has improved over the years. This would make quite a difference to your analysis, perhaps even meaning more than half of the properties on the market haven't been transferred in the last decade. More generally, without any context or what a 'normal' dataset should look like, I'm not quite sure what the data is intended to show? Is this different to the situation 2 years ago? 10 years ago? Sure. I spend a lot of my time reading Scientific papers, and often the missing data is as interesting as the presented data. Just curious whether you'd considered the potential issue with your conclusion if the dropout data is not like the reported data. Feel free to respond to my query or continue with personal insults, as you see fit. Short answer property values have risen much faster than rents. Established investors already have other equity so LVR is fine. When gross yields are low and expenses to pay and then the bank wants an interest cover (clear income) of 1.5 times it makes it hard to get the funding. The properties we invest in have higher yields which makes them attractive. Yes. I was looking at it more from an owner occupier perspective but re-reading your first post you made it quite clear that you are talking about investors. Good point and I agree with you. Cheers yvil, yes owner-occupiers and FHB will find the equity component difficult. But once someone is a property owner I do think it becomes a bit easier, most of the time. Like surfing, catching a wave can propel you forward. It does seem the new governor is more relaxed than the last. My read is the RBNZ now feel they can control house prices through LVR rules. So they can afford to be more supportive with interest rates without igniting runaway housing inflation. Median house price of $170,000 in Sep 1999 to $550,000 now. 9 years of Labour and 9 of National. Hourly income $14.50 in 1999, now $26.15. So a house in 1999 equaled 11724 hours work, now it equals 21032. Put another way, NZ wages have gone down by 44%, on this measure. No wonder people want change. An excellent analysis of how times and costs have changed. Got to keep the new people flooding in. No house owner wants houses to become affordable. (At what price point did houses get the emotional upgrade to "homes"?). There is no easy way to deflate a bubble, so far it's very modest declines and slowly rising wages, but both of these are very, very, hard to control. Once inflation gets above 3% it gets unstable apparently, I think it was Volker who said that in his recent piece where he says there is no evidence that a 2% inflation target is a good idea.